No pictures found for plate number XA4E7V in Missouri, United States. click here to add a picture. No videos found for plate number XA4E7V in Missouri, United States. click here to add a video. No owners found for plate number XA4E7V in Missouri, United States. click here to add an owner. 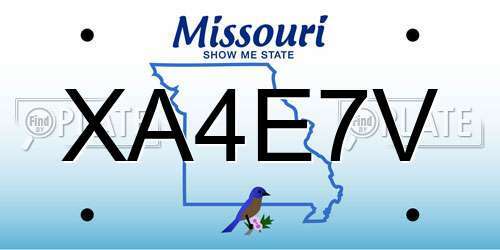 No related websites found for plate number XA4E7V in Missouri, United States. click here to add a related website. Nissan North America, Inc. (Nissan) is recalling certain model year 2001-2003 Nissan Maxima, 2002-2004 Pathfinder, 2002-2006 Sentra, 2002-2003 Infiniti QX4 and I35, 2003 FX35 and FX45, and 2001 I30 vehicles. Upon deployment of the passenger side frontal air bag, excessive internal pressure may cause the inflator to rupture. Nissan will notify owners, and dealers will replace the passenger air bag inflator, free of charge. The recall began on June 15, 2015. Owners may contact Nissan customer service at 1-800-647-7261. 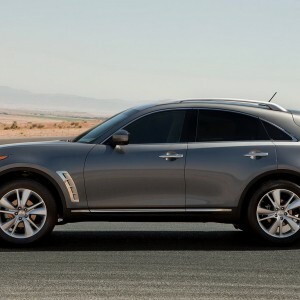 Note: On December 18, 2015 Nissan informed NHTSA of an amendment of this recall to remove 2004-2005 Infiniti FX35 and FX45 vehicles. ON CERTAIN PASSENGER VEHICLES, THE CIRCUIT BOARD FOR THE CRANK POSITION SENSOR OR CAM POSITION SENSOR MAY HAVE AN IMPROPER SOLDER JOINT DUE TO SOLDER DEFORMATION CAUSED BY HEAT STRESS ACCELERATED BY THE EXISTENCE OF FLUX RESIDUE DURING THE SOLDERING PROCESS. ON CERTAIN PASSENGER VEHICLES, THE PIN AT THE END OF THE FRONT SUSPENSION TRANSVERSE LINK (LOWER CONTROL ARM) COULD BREAK WHERE IT IS MOUNTED TO THE FRAME. THIS CAN CAUSE A KNOCKING SOUND AND ABNORMAL STEERING. THIS COULD RESULT IN DIFFICULTY CONTROLLING THE VEHICLE AND INCREASING THE RISK OF A CRASH. DEALERS WILL REPLACE THE TRANSVERSE LINKS ON THE LEFT AND RIGHT SIDES WITH NEW ONES. OWNER NOTIFICATION BEGAN JULY 29, 2002. OWNERS WHO TAKE THEIR VEHICLES TO AN AUTHORIZED DEALER ON AN AGREED UPON SERVICE DATE AND DO NOT RECEIVE THE FREE REMEDY WITHIN A REASONABLE TIME SHOULD CONTACT NISSAN AT 1-800-647-7261 OR INFINITI AT 1-800-662-6200. CUSTOMERS CAN ALSO CONTACT THE NATIONAL HIGHWAY TRAFFIC SAFETY ADMINISTRATION'S AUTO SAFETY HOTLINE AT 1-888-DASH-2-DOT (1-888-327-4236). ON CERTAIN PASSENGER VEHICLES EQUIPPED WITH AN ELECTRONIC THROTTLE CONTROL SYSTEM, THE STOPPER FOR THE ACCELERATOR PEDAL WILL PREVENT EXCESSIVE MOVEMENT OF THE ACCELERATOR POSITION SENSOR. IF THE DRIVER APPLIES OVERLY EXCESSIVE FORCE TO THE ACCELERATOR PEDAL WHILE AT THE SAME TIME PUSHING IT TO THE RIGHT, THE PEDAL CAN "OVER TRAVEL" DUE TO THE DESIGN OF THE PEDAL STOPPER. THIS WILL CAUSE THE ENGINE MALFUNCTION INDICATOR LAMP TO COME ON AND THE ENGINE SPEED TO BE SEVERELY LIMITED. IF THIS OCCURS UNEXPECTEDLY, IT COULD LEAD TO A CRASH. DEALERS WILL INSTALL A NEW ACCELERATOR PEDAL STOPPER. OWNER NOTIFICATION BEGAN MARCH 11, 2002. OWNERS WHO TAKE THEIR VEHICLES TO AN AUTHORIZED DEALER ON AN AGREED UPON SERVICE DATE AND DO NOT RECEIVE THE FREE REMEDY WITHIN A REASONABLE TIME SHOULD CONTACT NISSAN AT 1-800-647-7261 OR INFINITI AT 800-662-6200.